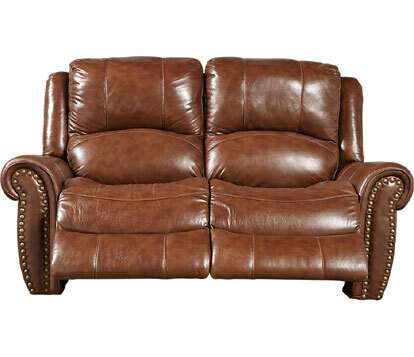 Loveseats are simply scaled-down couches that comfortably seat two people. When combined with matching sofas and armchairs for intimate seating or group conversing, properly sized loveseats complete the look of a modern living room. To fit a variety of rooms and individuals' needs, loveseat dimensions vary. When measured from the outer edge of each arm, standard loveseat sizes range between 48 and 72 inches wide. They're typically about 36 inches high and deep, including the seat and back support. About 16 inches of space separates the top of the seat cushion from the floor. These measurements are much smaller than most full-sized sofas, which are about 84 inches wide and 40 inches deep. While many people assume that loveseats are simply accent furniture, these pieces can fill many roles. Oversized loveseats are often utilized in large, open spaces. While a small and delicate piece might look out of place, a loveseat with generous proportions matches the size of the room. 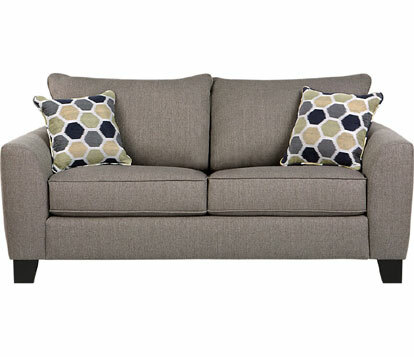 Larger loveseat dimensions usually measure over 70 inches in length and at least 40 inches in depth. Height is also scaled upward to match the length and depth. In addition to the frame, filler type has a role in overall loveseat size. Designs with thick cushions and padded arms will always appear larger than sleek, contemporary couches of the same dimensions. Full-sized furniture makes smaller spaces feel congested and leaves little room for lamps and other elements of decor. In apartments and lofts, loveseats are perfect replacements for sofas. Sleeker loveseats save precious floor space, and their compact size allows for easy maneuvering through narrow hallways and staircases on moving day. Apartment-sized loveseats are usually 60 inches wide or less, sometimes featuring depths as little as 28 inches. These models feature small back cushions and are typically shorter in height than standard seats. Also, their price points are often much lower than standard or oversized furniture. When considering loveseat sizes for an apartment, keep in mind that low-back pieces won't provide enough support for taller individuals. 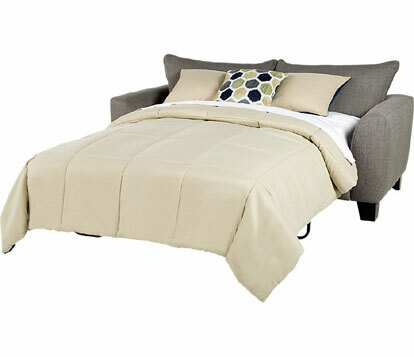 Despite their smaller size, many loveseats are available with convertible bed options. Those who host overnight guests will appreciate these pieces, as a twin-sized mattress hidden underneath the cushions can be uncovered and put to use at a moment's notice. Fold-down designs forego the mattress, instead collapsing upon themselves in order to provide a space to snooze. If built-in beds are a bit much for the area, go with a reclining model. 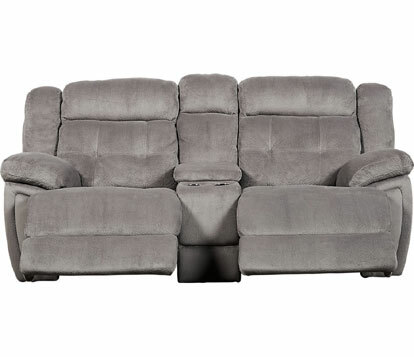 Recliners with compact loveseat dimensions are designed for comfort and may have cup holders and cubbies for storage. A drawback to this, however, is that the loveseat will need to be placed far enough away from the wall to retain its full range of motion. When comparing loveseat sizes to find your perfect piece, always take into account the dimensions of the room and surrounding furniture. Likewise, purpose and orientation are important. Is the loveseat the star of the space or does it play second fiddle to a sofa or sectional? Where will the loveseat be placed in the room in relation to everything else?